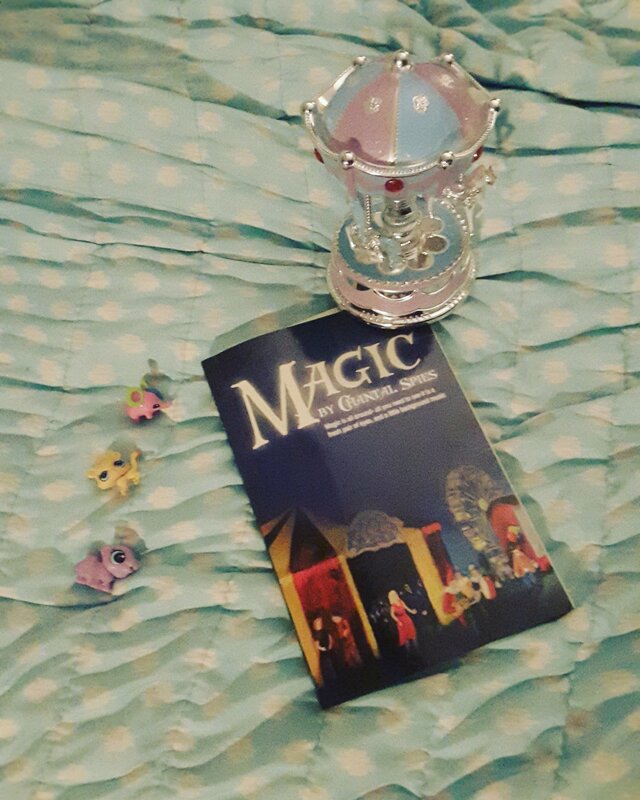 I received a copy of Magic by Chantal Spies from the author in exchange for an honest review. All opinions are my own. 🌟🌟🌟🌟The message in this book is written right on the cover! Magic is all around-you need a fresh pair of eyes, and a little background music. The story begins with Anya and her long time friend, Eduard buying ice lollies and behaving as ten year old children behave. Throughout the book we get to watch them grow and have growing pains as friends, until one night the circus comes to town. Anya meets the lion tamer, Bjorn and falls magically in love. But her Mom leaves home and Anya’s whole world becomes different. Too grown up too fast and not the way she plans. Anya begins to make choices based on safety instead of dreams and no matter how hard she looks she can’t find joy in her world. 15 years later the circus returns and Anya make choices that aren’t easy to find her happy. In doing so she discovers living in the past and preparing for the future do nor create the magic she is longing for. She discovers living for today contains all the magic she needs to be happy. Review also posted on Instagram @jasonnstacie, Library Thing, and Goodreads/StacieBoren.